Classical composer Claude Debussy was born to a working class French family in 1862. A child prodigy, Debussy entered the Paris conservatory at age 10. He challenged the musical orthodoxy of his teachers there, choosing unusual harmonies that were widely frowned upon. His 24 preludes were revolutionary and reflected the Impressionist movement swirling around him. And a visit to the Paris World’s Fair exposed Debussy to music from Japan and India. This experience profoundly influenced his compositions. Diane discusses the music of Claude Debussy with American classical pianist Stephen Porter. MS. DIANE REHMThanks for joining us, I'm Diane Rehm. French Composer Claude Debussy was once described as being from another planet. His unusual harmonies and dissonant cords revolutionized classical piano and set him at odds with contemporary critics. 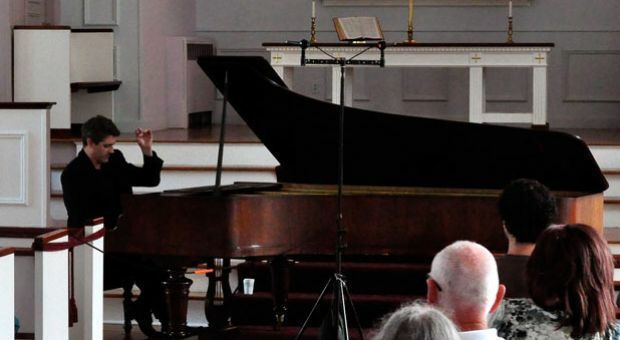 American classical pianist Stephen Porter spent last summer in Paris playing the music of Debussy in celebration of the composers 150th birthday. MS. DIANE REHMPorter says, France is most famous composer was greatly influenced by world music which put him ahead of his time. Stephen Porter joins me in the studio to talk about the music of Debussy and why his birthday is not getting the attention it deserves. I hope you'll join us, 800-433-8850, send us your email to drshow@wamu.org, follow us on Facebook or Twitter. Good morning to you, it's good to have you here. REHMStephen, I must say, reading this New York Times article, written by Anthony Tommasini, he says, "I think we take Debussy for granted and this may explain the lack of celebration this year. But by any measure, Debussy was one of the most radical composers in music history." Is that how you see him? PORTERWell, absolutely. There are many ways to see Debussy. And he's radical, even today. There are things you can hear in his music. If you're in a concert hall and you hear one of his more esoteric pieces, you can be quite amazed that it was written a 100 years ago. REHMOne of the clips we have is from a recent disc that you did, let's hear this Pagodes (sp?) . REHMSo, Stephen, describe for me, if you can, what is radical about this piece of music? PORTERWell, Debussy, of course, is a French composer, highly sophisticated and we hear a piece here that is from Japan, inspired by Pagodes from Japan. And so the question is, well why -- why did he choose this? There are many answers, but the first and most crucial thing to know about Debussy was that, he had a kind of an epiphany when he had returned from the Prix de Rome, he won a two year prize in Rome as a composer, and came back to Paris and began his career as a professional composer. PORTERAnd in 1889, at the World's Fair in Paris, he heard, for the first time, music from Indonesia and in specifically Gamelan music from Bali and Java and also theater productions from Vietnam. And these things had a profound effect on him. The types of intervals that those music's used, the types of sounds, the -- the continual vibration that takes place in that music. The vibrations go on without being damped or stopped. And the piano can do those things. But it just hadn't been used in that way by almost anyone beforehand. REHMHe had almost no formal education other than musical. PORTERThat's right. Yeah, he came from a modest background. And by the time he was 10, they had recognized that he had musical talent and he had studied, briefly, the piano. And he was good enough to get into the Paris Conservatory. But he certainly wasn't a prodigy like a Mozart or a Mendelssohn. And then he, over the next 12 years, spent that entire time at the Conservatory and started to develop his -- his style. REHMYou know, it's interesting, you mentioned the prodigy, Mozart, F. Murray Abraham was on this program the other day, of course, one of the major stars "Amadeus," so I was watching that movie and Mozart is depicted as behaving so erratically. And radically, how does one describe Debussy's behavior? PORTERWell, he was a bit radical in his personal life, as a kid, as a student and certainly as an adult. He had a few marriages and was not that successful with women. One of his first wives tried to shoot herself. And so, he had a difficult personality. He was allusive person, he was a private person. He still spent all sorts of time in the café's of Paris and the, you know, Moulin Rouge in that era and Montmartre. But he was a very private person and certainly the antithesis of what you would think of as the child prodigy. REHMAnd also, I mean, one thinks of his music, I don't think of it as radical, but I recognize that scholars looking at it would call it radical for its time. We've just grown used to it over the years. But what was it about Debussy that drew you to his music and to want to create his music for yourself? PORTERWell, all the classical composers are so wonderful. There's an embarrassment of riches for the piano, as you know. There's no way you can get through it all in a lifetime or even in three, I think Rubinstein said. But Debussy -- Arrau, the famous Claudio Arrau as you eluded to in the beginning, said that his music sounds like it comes from another planet. And even today, the way he uses the piano is just so very different. PORTERThe actual sound that he creates, kind of a three dimensional sound, almost like a painting where you see things in the foreground, other things in the background, some things out of focus, some things in sharp focus. And this is just very different than the music that came in the century leading up to Debussy. You know, when you think of Beethoven and Mozart and others. REHMAnd when did you first begin to be drawn to Debussy? PORTER...everyone knows that piece. And, you know, it's so famous and in a way Hackneyed that pianist don't often play it. And I actually just played, I think, back in the spring, a few concerts where I brought that in as an encore and I hadn't played it in 30 years. And had never really performed it. And so, you know, it's beautiful and strange and sometimes unexpected when you hear it again for the first time. REHMAnd, of course, this is not the famous "Clair De Lune" that we're all so familiar with. PORTERQuoting himself, but a very oblique reference. So it's very hard to notice unless someone demonstrates it for you. This shows how far further he'd gone into the esoteric sounds than the original "Clair De Lune" was. PORTERWell, harmonically it's -- is, of course, that's one of the most important parts, the unusual cords. But even more, as you can hear in that piece, he stretches the piano to the limits. He uses the very lowest and the very highest notes and in the middle, float these cords. And again, it produces a three dimensional feeling in the listener. PORTERAnd I was lucky enough to play these when I was at Cite internationale des Arts in Paris for a lot of visual artists because this international artists residency is more, 70 or 80 percent, painters and photographers and sculptors. And so it was very interesting to play pieces like this for a visual artists and hear their visual experience of what the music is projecting to them. REHMAnd with me in the studio is classical pianist Stephen Porter. He calls himself an American classical pianist and yet here he is playing the music of Claude Debussy. And we'll hear more of that music during the hour. Here's an email from Richard who says Debussy was a remarkable revolutionary. But it's fascinating to read the music reviews he wrote for the papers of his day. His very favorite was Bach, which I think says much about both Debussy and Bach." PORTER...or the Ninth Symphony. But you can't really sing the "Prelude to the Afternoon of the Faun" or "Pelléas et Mélisande" in the shower. It's a much different kind of way of presenting music. It doesn't mean it's imprecise. It doesn't mean he was writing kind of a formless mass of pretty sounds. But he was searching for a new way of expression. And I think there's a quote of his where he says, trying to express the inexpressible, and trying to create these pieces with these wonderful descriptive titles, like "The Terrorists for the Moonlight Audiences" which actually the title came from a newspaper article he had read in Paris describing a ceremony in India. PORTERAnd just the sound of the words that the phrase, the exotic foreign nature. He'd never been to India. He never went to India or the Far East but he was fascinated by the images that that conjured up for him. REHMSo you're saying that the influences came from that 1889 World's Fair in Paris rather than Debussy's having the ability to travel. PORTERRight. And also he actually chose not to travel. He won the Prix de Rome, which meant he had three years to go to Rome. Anybody would think that was a wonderful thing. He -- when he heard the news he was standing on a bridge in Paris and they said come -- someone came to him and said, oh you've won. And he remembers his first reaction was, my life is over. He didn't want to go to Rome. He didn't want to leave Paris. PORTERHe loved Paris. He was Parisian to the core. And he loved the (word?) , to use the French word. He went to Italy. He stayed as short of time as he possibly could and left early and came right back to Paris. And so there's an interesting paradox with Debussy where he really wants to stay in Paris and yet he wants to imagine these faraway places. And he has another famous quote where he says, when one can't travel one substitutes the imagination. PORTEROf course, when he became successful, he could travel. And he did do a little traveling, but he always didn't like it. He didn't want to go on these tours conducting "The Afternoon of the Faun" even though financially it was very good for him to do so later in his life. But he wanted to stay at home in his garden in Paris with his daughter and his wife and write these wonderful pieces imagining the exotic and the faraway. REHMHow many times was he married? PORTERYeah, the second time he married Emma Bardac who -- connection that I have that's quite wonderful is my teacher Paul Dogro (sp?) was able to play for Emma Bardac in the 1920s just five, six years after Debussy had died. My teacher was very old when I studied with him in the 1990s and he was able to play for her. She was a singer of some talent and had been involved with many composers, Faure and others and became in love with Debussy in 1904 and 5. And then finally -- they married. REHMHow old were you when you began playing piano? REHMEight or nine, which is kind of late these days. PORTERYes, not -- very late, very late. REHMWere you drawn to other musical instruments prior to that? PORTERNo, no. That was the one. REHMAnd why did you begin playing the piano? PORTERWell, I think our neighbors had a big old upright piano that they were trying to get rid of. And so we wheeled it across the lawn one night and up into our dining room. So sometimes, you know, fortuitist things happen like that. PORTEROh yes, yes. And we had a great friend who would come over and play and I would just sit and watch and think, oh my god, you know, if I could ever just sit down and play like that it would be sort of a miracle. How can anyone do that, you know? PORTERThen I just started practicing for the next 30 years. REHMIt is absolutely wonderful to hear about the development of a musician because I think most people, as you did as a young child, think, oh my god, if I could ever do that. And yet what does it take? Practice, practice, practice. REHMLet's go to a phone call here in Miami, Fla. Good morning, Don, you're on the air. DONGood morning, Diane. Thank you. As a child listening to Debussy, I felt the connection to his music. And listening to it over 50 years now, I thought that Debussy was able to express the flow of life through his music. And when I think of the flow of life it brings me to think about the sea where we have the origins of life. And that's where Le Mer has made a special connection to me through Debussy's music. PORTERWell, he's referring to La Mer, The Sea, the great orchestral piece that Debussy wrote in 1905. An interesting biographical fact is that when he was young, when he was six, eight years old they would take some vacations down in the South of France at Cannes near the seaside at an aunt's house I think it was. And he remember vividly as an adult thinking back seeing the ocean. And also the train that took him to Cannes. He could look and see the train from a distance and it looked as if it was coming out of the ocean. PORTERAnd so this sense of space -- of course the ocean itself is the vastness of it, the power of it, the mystery of it. But also the sense of three-dimensional space and this obsession with the natural world were something that he spent a great deal of time trying to portray in his music. He has amazing preludes about the wind, about the fog, about the snow, the rain. And he just had a very highly sensitized reaction to the natural world. REHMLet's see if we can hear a little bit of some of the preludes. Explain what these are about. PORTERRight. This one is the "Engulfed Cathedral," the cathedral that rises out of the sea in the morning in the mist. And slowly is heard. The bells begin to peal, the organ booms and it comes out in all its glory into the sunlight. And then at the end of the piece it recedes again back into the ocean. So here you can hear the piece. PORTERSo there you hear a little bit of that booming theme then comes back at the end of the piece under the sound of the waves. So it's receded back beneath the sea, but you still hear from a distance the sound of the church bells and the organ. One of his favorite musical instructions in his piano pieces is (word?) or from a distance -- hear from a distance, if he talks about horns heard from a distance. And he was obsessed with this idea of space, of creating a space with the sound of a piano. And you can do this for an audience. It's quite amazing. REHMHow much did he write about his own pieces? PORTERYou know, not much. He was a very -- again, a very private and careful person. He wrote in the music criticism about other people's works. He wrote in his letters -- you can read all his letters and he makes very, very brief allusion to his own music. He said, just a few tiny little things. So he really liked being a little bit inscrutable. I think he enjoyed that, that people couldn't get to completely know who he was or what his music was about. PORTERHe wanted people to hear -- you know, that piece that we just played from the 24 preludes, he actually had them printed, the 24 preludes, very specifically to not have the titles at the beginning of each prelude. At the end of the music of each one in parenthesis is the title. And so it was as if he was saying, don't let me insist that you think of this one image. Hear the piece. See what you take from it and then I'll tell you the title I had in mind. 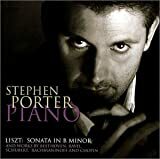 REHMClassical pianist Stephen Porter. You've been hearing the music of Claude Debussy and you're listening to "The Diane Rehm Show." We're going to open the phones again this time to Clearwater, Fla. Good morning, Joanne. JOANNEGood morning, Diane. And good morning, Stephen. I just had to call in today because I love classical music and I too have drawn into Claude Debussy by Clair De Lune. Although in 1984 I had been listening to a soft rock radio station. And one evening, they had played a couple of tracts, a new album put out by Yo-Yo Ma and Claude Boling, a suite for cello and jazz piano. And I absolutely loved it. JOANNEAnd when I called in on a subsequent evening to play it, they told me that it was just too classical for their station. They had received complaints and they couldn't play it anymore. And that's when I realized how much I really love classical music. So from that day forward, I switched my dial literally to classical music and I got acquainted with NPR. And -- you know, and that's how it went. REHMAnd here's how it goes. REHMI could sit and listen to this all day long. PORTERWell, as I mentioned earlier, I'd been playing the 24 preludes, which most people don't know any of them and some might know just one or two of them. So by the end of that long concern -- it's two 40-minute books of preludes -- you've put the audience through quite a long journey and some esoteric music, some harmonically challenging music. And then I thought, why don't I play Clair De Lune as an encore. And the first few times I did it, there was just a sigh that came out of the audience as sort of recognition, that they could breathe and just enjoy. PORTERAnd really when you've heard so much other Debussy and then you hear this piece it reminds you how beautiful it is and how still revolutionary it is. It's a wonderful, wonderful thing. PORTERI also have to mention that that recording, that actually comes from a performance at the Frederick Historic Piano Collection. And that's on a Erard Grand from the late 19th century, which was exactly when Debussy would have written that piece. So people might've heard it. It sounds a little different from a modern piano. And the pleasure of playing at the Frederick Collection is that you can play the music of the composers on the pianos from the time when they were composed. REHMHow are those pianos different? PORTERWell, there're lots of reasons, but the most important one is that the sound that you can make when there are different things happening at different levels, different strata of the music, something in the treble, something in the middle, something in the bass comes through a little more clearly, a little more transparently on an instrument like that. REHMStephen Porter and we're hearing the music of Debussy. Short break and we'll be right back. REHMAnd in this hour a real treat, a celebration of the 150th anniversary of the birth of Claude Debussy, the music being played by Stephen Porter, an American classical pianist who was invited to France to perform the music of Debussy. REHMHere's an email from Terry, who says, "I heard an interesting story as a student from my teacher, that Debussy wanted to learn American jazz. So he asked George Gershwin to teach him jazz. In exchange, Debussy taught Gershwin how to orchestrate a score. So there's plenty to be grateful for due to that collaboration." Can you verify that story? PORTERWell, it's a pretty good story. There's only one slight mistake, which it wasn't Debussy, it was Ravel. Ravel and Gershwin met and the story goes that Gershwin asked Ravel for lessons and Ravel said, well you're the guy who makes all the money, I should be asking you for lessons. But it points to something interesting, which is that Debussy was influenced by American music. PORTERAnd American music between 1900 and 1910 consisted to a great extent of Joplin Rags. Scott Joplin Rags, of course many other composers wrote ragtime, but he was the most famous and the cakewalk, which is one of the traditional styles of the rag, Debussy heard in Paris music hall performances. Some of the minstrel shows, he has a piece called "Minstrels" and one "General Lavine," which I think we have here who was an American, sort of performing clown and the music that accompanied him sounded a little bit like this, that he wrote. REHMI remember very well learning to play "The Elephant's Cakewalk" but certainly the "General Lavine Eccentric" certainly sounds like a general marching. PORTERYes, but also it's a parody, you know. Apparently he walked on stilts and do all sorts of pratfalls and then fall on the ground and end up in a graceful pirouette and Debussy just loved these sorts of musical pieces that he'd hear in Montmartre and so he wanted to imitate them, he wanted to write them and there's several cakewalk type pieces in Debussy. So the influence came from many countries. PORTERI think I mentioned that even in just the 24 preludes he has specific influences from Greece, Egypt, Spain, India, Indonesia, America, Great Britain, it's quite an amazing mélange. REHMTo Cleveland, Ohio. Good morning, Doug. DOUGHi, I have to admit I called for a reason sort covered there for a second about how jazz, there seems to be an element of Debussy in some jazz that came after and I was curious. I just recently got into a lot of more late '50s, early '60s, kind of spiritual free jazz and guys like Coltrane and whoever else in that era, the pianists that are on their records and I just cannot get enough, you played a piece just, two or three pieces ago, almost like an ambient piece of piano, classical piano. DOUGAnd I hear such an obvious, they pull from that so much on even a "Love Supreme." Not that I'm complaining. How do you feel, do you feel that Debussy was a pretty major influence on, you know, jazz of a certain era or in general? PORTERAbsolutely. I mean, he influenced so much of 20th century music from the famous classical composers that we think of, Stravinsky and others, and then, you know, minimalist music, John Cage, Philip Glass, all of these people look back to Debussy in a significant way, but also jazz. There's no question that those harmonies that he was writing in the 1890s and in the first decade of the 1900s absolutely are the vocabulary that jazz musicians use about 30 or 40 years later. REHMYou know, we know that Stravinsky's "Rite of Spring" created, literally, a riot when it was first performed. Was Debussy's music in any way thought to be as radical and did it create negative reactions as Stravinsky's did? PORTERWell, yes, I mean, it was as radical but again from the personality of the man, it's a subtle kind of radicalness. Stravinsky, "Rite of Spring," really beats you over the head with those amazing dissident chords so loud, so intense. That is less common in Debussy, it's a more subversive radicalism with Debussy. PORTER...and played through the beginning of the "Rite of Spring" from the score before, the year before Stravinsky had the famous premiere. I think the premiere was in 1913 and this was about a year before. And so that actually influenced Debussy, the younger composer, as well as Stravinsky being influenced by Debussy. So it was one of those wonderful moments in music history where two people meet. REHMHow do we know that that happened? PORTERWell, from things that he said in his letters and Stravinsky also and other witnesses, friends, you know, so. We don't have a recording of it but we know it took place. REHMGood, all right. Let's go to Lansing, Mi. Anthony, you're on the air. ANTHONYThank you for taking my call, Diane. ANTHONYI'm really excited about this topic because I'm a professional musician myself and Debussy is easily one of my top three favorite composers. And I took a class many years ago where there was a lecture and the lecturer talked about how Debussy was really heavily influenced by Richard Wagner to the point where if you listen to the "Prelude to an Afternoon of a Faun" the first full chord after the opening flute solo is actually based on the Tristan Chord, which occurred in the "Prelude to Tristan and Isolde" and I was wondering if your guest could comment on Wagner's influence on Debussy's music. PORTERSure. Debussy and many others of his time were extremely, strongly by Wagner. However, there was a time that that changed. he was almost a slavish admirer of what Wagner had done as a young men, Debussy was. but then as he matured he started to turn away and then he felt very much against Wagner and then this changed as the French and German relations got worse and worse and then leading up to World War I. He felt very strongly against the German music. PORTERBut there's no question that musically there are connections between those two pieces and even later there's some Tristan quotes in later Debussy music, little bits here and there. So, you know, the music can transcend the politics, it doesn't have to, you know, fall in line with how you feel politically. But your guest, your caller is correct that Wagner could make a shimmering sound out of an orchestra, a very large spacious sound. PORTERAs we think of Wagner, we think of huge, vast areas of space and very long operas and Debussy did do that in his music but in a much more compact way. You know, the "Afternoon of a Faun" is six or seven minutes long and he doesn't have any orchestral movements that are longer than that. REHMAmerican classical pianist Stephen Porter and you're listening to "The Diane Rehm Show." And let's go to Bel Air, Md. and to Don, good morning you're on the air. DONGood morning Diane, great show, again. DONThe thing about Debussy's music that is just amazing to me is that it sounds so improvisational. It sounds like its being written as the person at the keyboard is playing it and that's a really cool slide of hand for a composer to pull off. PORTERWell, that's a great observation and Debussy himself, I was just rereading some, one of the biographies today and the music that he most strongly approved of himself, Debussy, when he heard, was music that sounded as if it had been improvised and he strove to do the same thing in his music. PORTERSo what your caller says is exactly right because of the jazzy chords and harmonies and the unusual use of the piano and the great space in the music and allowing the piano to vibrate and chords to disappear slowly, that does lend itself to a feeling of improvisation. PORTERBut I would say, even though Debussy is our topic today, I really strongly believe that you can do the same thing with Beethoven as well. PORTERBecause those composers improvised all the time and when they performed they wanted you to feel that you were part of a creative act that was taking place and that's what we try to do as musicians, no matter what the music is, in that live context with the audience. REHMThanks for calling Don. Tell me about your life as a musician? How much are you on the road, how much are you practicing daily? PORTERWell, as we said before, everyone is different. I'm not on the road giving hundreds of concerts a year. But I do have the chance to go to some interesting places, Paris and Sarajevo. I'm going to be playing in Rio in a few months and as far as practicing, you just do it every day. There's no other way to put it. You practice every day and even when you're not practicing, you're thinking about the music and you're listening, you're reading, you're immersing yourself in any way you can. REHMAnd how do you relax? REHMYou don't look as though you eat very much. PORTERAnything that, I mean, I used to relax by listening to music but now I tend to want to get a little bit away from music when I'm not working at it. REHMSo you're on the road, say, how many days a year? PORTERI don't even know how to quantify it but I would say being in Paris for two months, you know, it was easy to relax as well as do a lot of work. REHMHow often were you playing while you were there? PORTER...there, but I was able to, you know, be practicing all the time and interacting with all sorts of composers and musicians and even more so with the visual artists from around the world. I got to spend some time with an amazing woman, a Swiss woman who does Japanese lacquer work and who had trained in Japan in the traditional way to do Urushi lacquer. PORTER...of lacquer work, yes. So interacting with people like that was very, very interesting and helped me, you know, play the music better I think. REHMAnd finally, to Oviedo, Fla. Good morning Kenny. KENNYGood morning, Diane. You've had programming after my heart this week. KENNYI just wanted to say that I was first introduced to Debussy with his "Arabesque" and from there I've never looked back and brought me into romantic music that I've come to know and love today and eventually brought me over to composers in Japan, who I guess, have been taking, going back to seeing how Debussy had taken his imagination from Japan or from the Eastern world, not Japan so much, sorry. KENNYBut from the Eastern world and now seeing it coming full circle and starting to inspire current Japanese composers, at least from my recollection in early 2000s, perhaps in some video game style music, where they're going and creating these themes for new worlds where they often site this music as an inspiration to create their worlds. Do you know anything, does the guest have any input as to how is music maybe, perhaps has come full circle? PORTERWell, I don't know much about video games or video game music, but that doesn't surprise me at all, that that would be the case. And someone like Takemitsu, the great composer of the late 20th century, there's no question that the space and silences in his compositions have some degree of relationship to Debussy. REHMWell, Stephen Porter, I certainly hope that today's program is going to help in some small way to celebrate this fabulous composer and the music we've all come to love and accept in ways that perhaps earlier generations did not quite understand. To hear this gorgeous "Clair De Lune," as I said, I could simply listen to it all day and you're playing is absolutely gorgeous. PORTERWell, thanks Diane. You're very kind and I would just say to anyone, if you go to Paris, it's the same Paris that Debussy lived in in many ways. The same bridges, the same museums, the same paintings that he saw 100 years ago and was inspired by.